I could start to add found hats onto the list as well if you want? Was trying to keep them seperate at the start to focus on the stolen hats but we seem to have most of them now. And then you really don't seem to like the possessive 's, a smaller error to be sure but you did it correctly for Workman's Flat Cap, so why not all of them? Which stands at 39 Stolen, 11 Found, 3 non-bought "Owned Hats"
I went over Hect0rlo's list (https://imgur.com/a/SB1fHdM) and it agrees with the one I posted. @[email protected] worn flat cap , where is it bro ?? Really wish I could save the unique tan sheriff hat in sp and RDO that I have to pick off a dead sheriff - different fron the tan one the bounty hunters have. One of the sheriff's hat has a deep purple lining that can't be purchase. Perfect size with unique band as well. Anyone know the name by chance or if anyone able to save in sp/rdo? Didn't see it in the above lists. - Newsboy Cap (Not 100% if it is missable — I seem to remember a report of someone finding it in the wild outside of the two missions listed in the OP, but I can’t find it now. Better to grab it in those missions just to be safe). That would be awesome! It would be great to have all the info in one place, especially for all the new folks that will be getting the game over the holidays. If you could add the unique colour Worn Flat Cap as well, that would be great. I also really like the above poster’s list with the three sections, and all the exact names. It would probably help more folks find the list when Googling. Anyway, you’re definitely helping out a lot of folks with this thread, OP. Gotta be worth a big honour increase IRL, lol. That’s a mesh error, I believe. It’s a bug. Should probably be reported, actually. 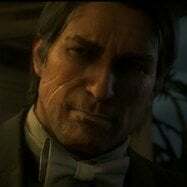 I contacted them about the home comforts trophy and explained AND gave them video proof that it WOULDN'T unlock unless I spent 30 gold bars and $300. They replied with "There is not enough evidence in the video, please submit a video with the required evidence via link to - bla bla bla so we can analyse" Then told me to send feedback to the Red Dead Online devs and closed the ticket. Then I lost my sh*t because this is the SECOND time this month I contacted them and both times they are clueless idiots. Moral of the story: Rockstar support are DOGsh*t. OT I know, but back to the hats, does anyone think they will fix the purple c*m stains on it or will it be ignored like with GTA V.
Is there another way to get the Bucket Hat? It is true that the people from the lumberyard move on. I guess if enough people make tickets about it then the higher up the priority ladder it will go and then might have a chance of being fixed...so send those tickets. The list is a bit all over the place because it was a live list when being made rather than just a copy and paste from someone else, so it was constantly being updated. The order of the list is kinda the order that they were discovered in which is why there is no uniform to it. There was a previous stolen Hats thread I made before this one but I deleted it because once I started moving the hats around it started to randomly change font size and colour so I stopped and made a new thread. Countless hours were spent by people in this thread myself included, going around knocking every single npc hat off to see if we could steal them. Hell I even shot and killed the sailor who drops you off at the end of chapter 5 to see if I could steal his hat but sadly it wasn't savable, he did have a newspaper clipping on him though and I still feel bad about it today ha. If you had followed the thread from the start there wasn't any pictures so getting the names correct was crucial and mistakes were made. That is why I then decided that the best thing was to just include the pictures of the hats with their actual real name included in the picture to stop any confusion. The whole thread has been done on my phone as I don't have a computer and it's been pretty time consuming. You can blame my fat fingers for bashing the wrong buttons for the spelling mistakes. To be honest you ticked me off the wrong way when you came in making demands without making any contribution or even a tip of the hat to people in this thread that helped make it. You seem to be getting involved now though which is good so I will update the OP with correct spelling. To be honest you ticked me off the wrong way when you came in making demands without making any contribution or even a tip of the hat to people in this thread that helped make it. You seem to be getting involved now though which is good so I will update the OP with correct spelling. You seem to forget that your list didn't have the Derby High Hat before I came into the thread. Only after that did I suggest a clean up, something that often happens after the process you just described. Think it must be random as I'm almost sure he didn't have the High Hat when I stole the shotgun from him. I never killed him though so I guess I could go back and check. Would be much easier to get it from him than van horn if it isn't random. I actually found the hats in Butchers Creek harder to get because of those damn goats knocking you over and then the whole place trying to kill you when you're trying to pick up a hat 😂. I guess if you play with bad honour then it won't matter since you can just shoot the place up and it will be easier.